Are you cleaning out the basement, renovating your home or business, maybe you just have yard waste that is out of control? 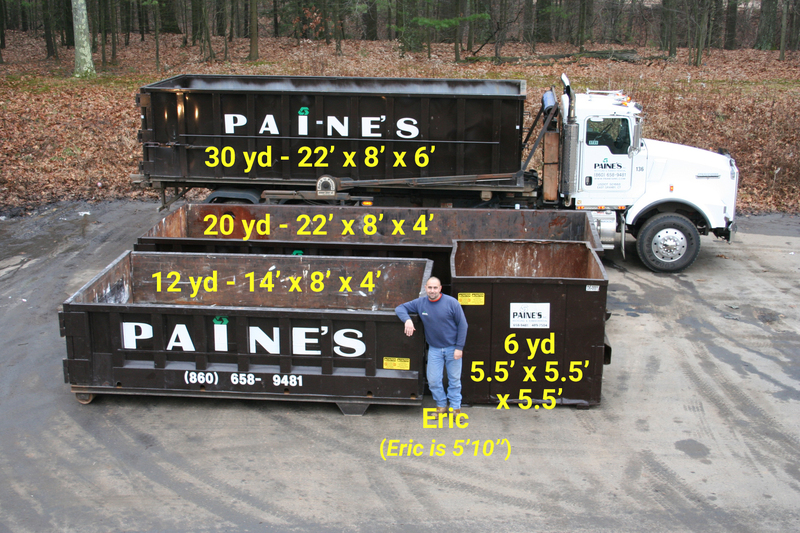 Paine’s can help with a small container or a variety of larger roll-off options. We have a variety of sizes available: 6, 12, 20, and 30 yard capacity. The 6 yard container is top loading only, but the larger size roll-offs, all have a large swing door that opens the entire back to make loading easier and more convenient. Service to other towns will be considered on a case by case basis, just ask!